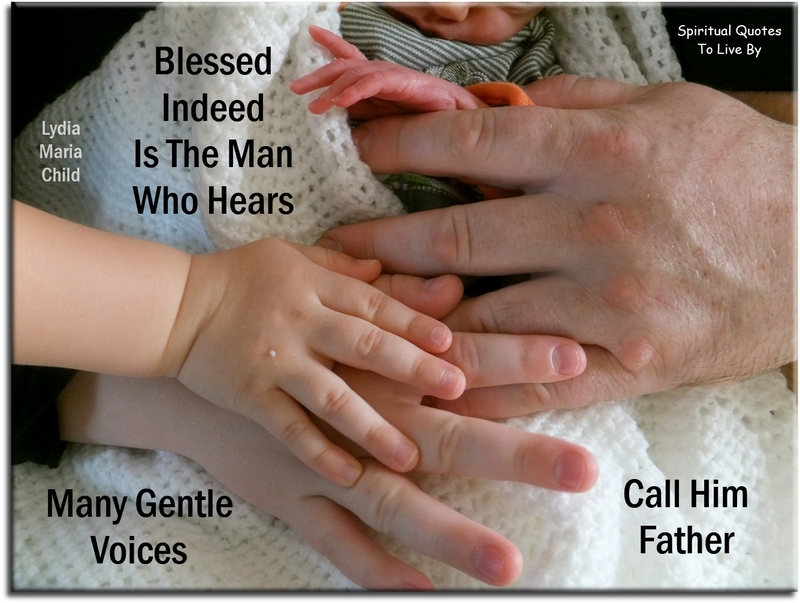 These quotes about fathers are all positive, inspirational words of wisdom and love about fathers or the many wonderful joys of being a father. The role of a father has changed dramatically over the past few generations, in my grandparents time a father's role, as the head of the family, was to be the 'breadwinner' working to support his family and he was also the authoritative rule-maker that you had follow. The majority of fathers would not have carried out general caring tasks for their children, nor would they have physically displayed their love. 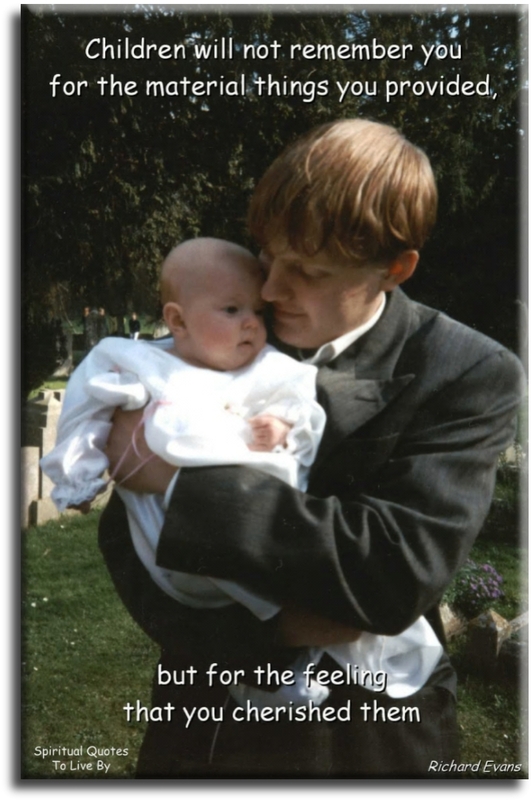 Now, three generations later, it is wonderful to see fathers taking an active role in the caring of their children. 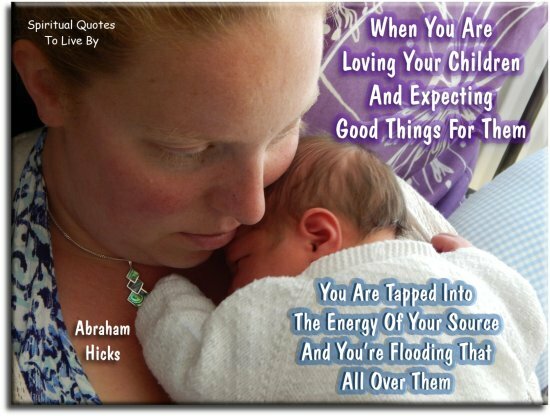 This enables them to have a deeper understanding, develop a closer relationship and show their love more easily, which will echo through their lives and into future generations. 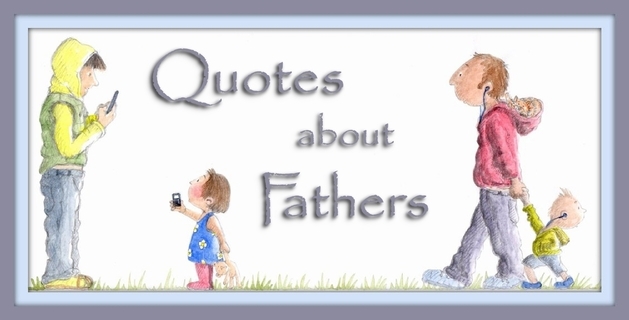 There is also a page of Sayings About Fathers which are all from unknown sources. I love the moments when I engage with youngest daughter now. It's not my thing to sit on the ground and play tea party, but I'll do it because it's a moment that will stick with my forever. Every day, if he takes time out of his busy life to reflect upon his fatherhood, he can learn ways to become an even better dad. When you have kids you do grow up. I have just started realizing now... it changes your world, having children. There's something like a line of gold thread running through a man's words when he talks to his daughter. Gradually over the years it gets to be long enough for you to pick up your hands and weave into a cloth that feels like love itself. Dad's are most ordinary men turned into heroes, adventurers, story-tellers, singers of song. Dad's don't need to be tall and broad shouldered and clever... Love makes them so. My father was always getting excited about something... It's genetically inside me somewhere. I learned many lessons from my father, not the least of which was that, you can fail at what you don't want, so you might as well take a chance on doing what you love. I was glad my father was an eye-smiler. It meant he never gave me a fake smile, because it's impossible to make your eyes twinkle if you aren't feeling twinkly yourself. It's a funny thing about mothers and fathers, even when their own child is the most disgusting little blister you could ever imagine, they still think that he or she is wonderful. If I had a bucket list... I'd say raising my four girls to be strong, good women would be No. 1. My father was a big child that was given to me while I was still little. To a father growing old nothing is dearer than... a daughter. I know his father, how do you expect me not to know him? A good father is one of the most unsung, unpraised, unnoticed and yet one of the most valuable assets in our society. The child is not likely to find a father in God, unless he finds something of God in his father. My father was there when I didn't understand. He was there when I was wrong. He was there when I cried. He was there when I lied. For some reason my dad was always there when I needed him most. His love was never ending. And now that he's gone there is an emptiness in my world, but not in my heart. No word makes me happier than the word 'daddy' uttered by one of my children. He didn't tell me how to live... He lived, and let me watch him do it. Every father should remember.. one day his son will follow his example, not his advice. If I had a problem, I could always call daddy. I am neither. My favourite role is father. A child looks up at the stars and wonders. A great father puts a child on his shoulders and helps them to grab a star. The thrill of being a great father is not seeing your children go on to become successful adults. The thrill of a great father, is the journey, experiencing your child's successes along the pathway to their greatness. Directly after God in Heaven come papa. Until you have a son of your own.. you will never know joy, the love beyond feeling that resonates in the heart of a father as he looks upon his son. I've made a few nice dishes in my time, but this must be the best I've ever made. The guys who fear becoming fathers don't understand that fathering is not something perfect men do, but something that perfects the man. The end product of child-raising is not the child, but the parent. I've done all kinds of cool things as an actor. I've jumped out of helicopters and done some daring stunts and played baseball in a professional stadium, but none of it means anything compared to being somebody's daddy. To show a child what once delighted you, to find the child's delight added to your own, so that there is now a double delight seen in the glow of trust and affection, this is happiness. The words that a father speaks to his children in the privacy of home are not heard by the world. But as in whispering galleries, they are clearly heard at the end and by posterity. Becoming a father was the proudest moment of my life. Playing football does not even compare. 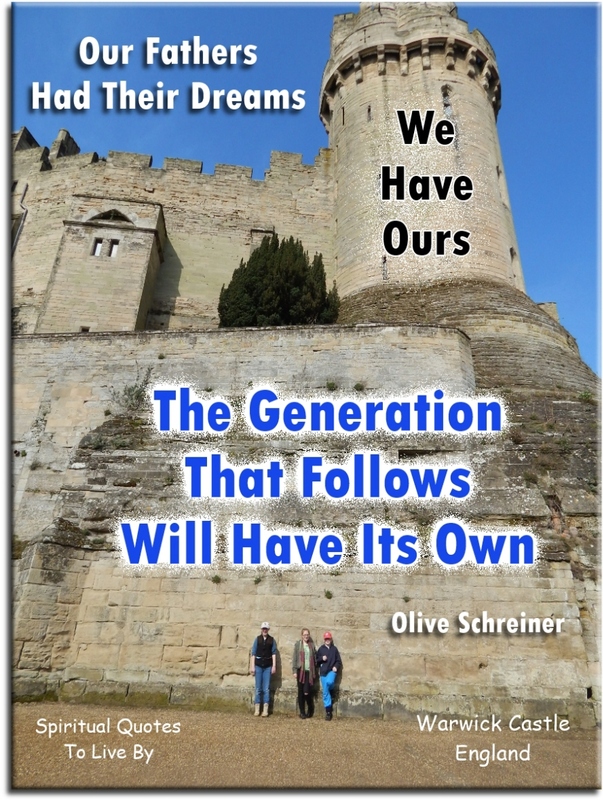 Our fathers had their dreams, we have ours, the generation that follows will have its own. My father used to say.. "Don't raise your voice, improve your argument." When I was a boy of fourteen, my father was so ignorant I could hardly stand to have the old man around. But when I got to twenty one, I was astonished at how much he had learned in seven years. My father gave me the greatest gift anyone could give another person... he believed in me. I am so proud of my father... he is the biggest example of success and courage I have seen in my life. He is the emperor of my kingdom. Being a father is my most important role. If I succeed in business, but fail as a father.. then I've failed. Father... to God Himself, we cannot give a Holier name.